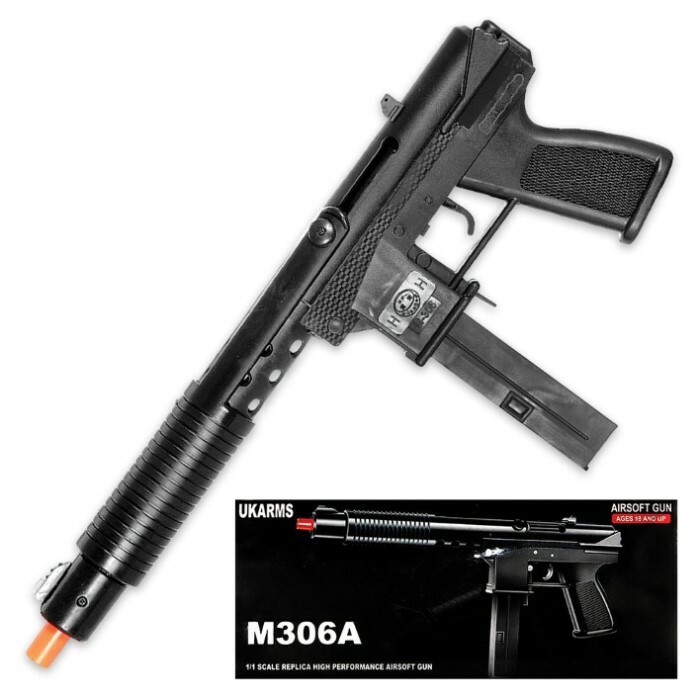 Tec-9 Spring Powered Airsoft Handgun - Authentic Look, Dimensions, Single Shot Pump Action - 6 mm Caliber, Stick Magazine - Front / Rear Sights; Stippling Pistol Grip | BUDK.com - Knives & Swords At The Lowest Prices! Few handguns are as iconic and downright frightening as the Tec-9. Now you can bring the menace and unbridled potency of this legendary pistol-on-steroids to the airsoft field! Watch as your opponents cower at the sight of your ominous spring-powered Tec-9! 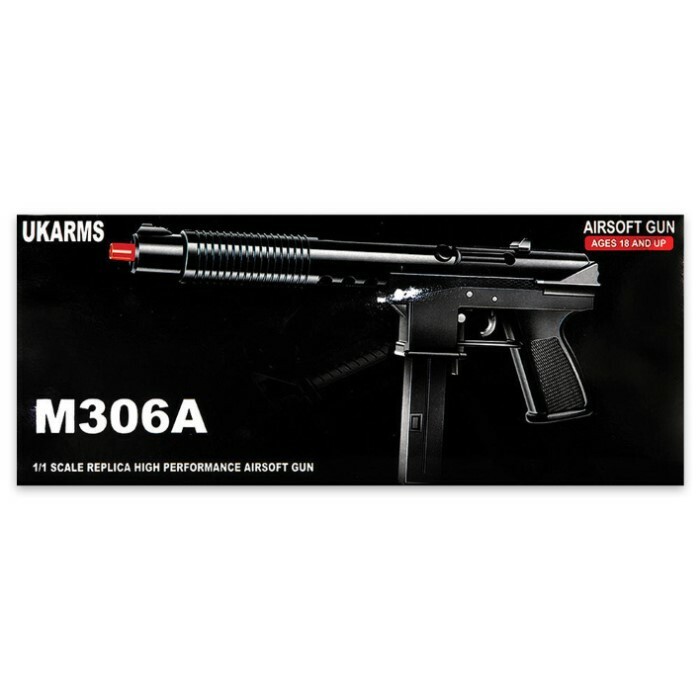 With its authentic pump-action operation and detailed design, this airsoft reproduction boasts the same awe-inspiring visual impact and extraordinary feel as the genuine article. And don't sell it short; the airsoft Tec-9 packs serious muscle all its own - truly a force to be reckoned with on the airsoft field.